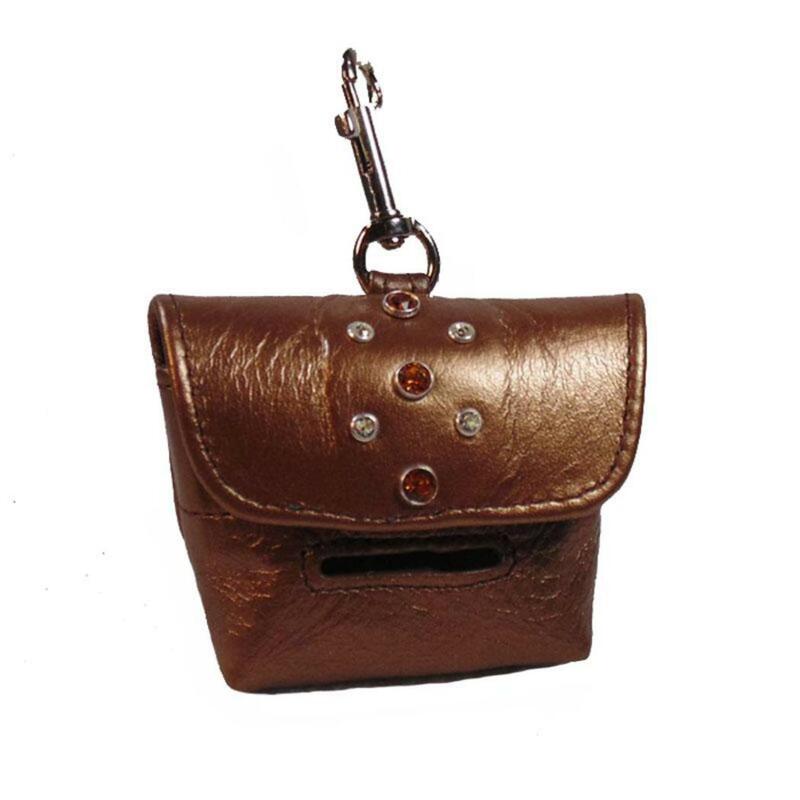 Custom made designer poop bag holder features a cluster of bezel-set Swarovski crystals. Made with the same fine quality leather and craftsmanship used for all items in our leather collection of dog collars, leashes, harness, and accessories. • Attach to a leash, carrier, car seat, or hook onto your pant loop. Please pick the color of the bag, pick the three larger center stone colors, then pick the 4 smaller surrounding stones color. You can pick all clear if you like. We estimate delivery as approximately 3-5 weeks but will try our best to get it to you sooner. Quality and attention go into every detail of this handcrafted designer poop bag holder ensuring it will truly be worth the wait. This is a custom made to order item and not eligible for exchange or return.